The ARAMAX Power Kit has a huge capacity of 5000mAh built-in battery. It is designed for vapors with need of long-lasting vaping and massive juice capacity. It comes with 5ml tank. Here comes the ARAMAX Power Kit! It comes with a huge 5000mAh built-in battery and a 5ml sub ohm tank, bringing long-lasting battery life and amazing cloud flavor to you. The constant 55W output of ARAMAX Power provides a stable performance too. With child lock design, you will enjoy a safe vaping freely with ARAMAX Power. 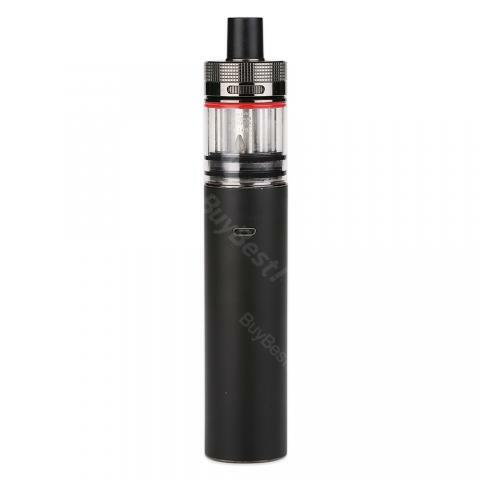 The tank also adopts top refill and top adjustable airflow system. You will definitely fall in love with ARAMAX Power! Black color. • We provide compatible battery/tank and coils. It works very well, well reflects the taste, no leakage, I recommend. everything of ARAMAX Power is perfect. The delivery was super fast. I am so amazed by the battery is great that lasts a couple of days. ARAMAX Power's design is my cup of tea, easy to fill and gets a lot of good vape clouds.